Today, in our town, if you have young children it might be advisable to stay home. I know this may be difficult as school is out today but, please, heed my advice! A friend & her two girls were meeting me and my two kids for a fun filled afternoon of play! She lives in the next town over and we were thrilled they were coming down our way. We set a time for lunch and met at the local fish-n-chips place. It was busy, for a Friday. We had to stand in line before ordering. The girls were giddy and full of motion but nothing out of the ordinary. The first dirty look came. It was from a woman in line ahead of us she had very dyed dark hair and drawn-on severe eyebrows. It was a look as if we had just released the Ebola virus in the restaurant. We ordered and moved outside to find seating. We located a table at the end of the row of 5 empty tables outside. The first table was occupied by two older women and a young man. We chose the FAR END table OUTSIDE. We have four young children and a 15 minute wait for food, of course we will choose this option. With the sidewalk clear and a fair amount of time to wait for lunch the kids took to playing. Chasing, skipping, racing.....laughing, giggling, silly happy screams. Happy children, playing happily. Guy: "COME ON! WE ARE EATING!" "REALLY! WE ARE TRYING TO ENJOY OUR MEAL IN PEACE! THE VOLUME IS INCREDIBLE! THERE ARE OTHER PEOPLE IN THIS WORLD!" My friend: "Well, we are OUTSIDE." Honestly, this table of JERKS really pissed me off. Let me point out here, that the food served at this restaurant is all served in a box. If they were that pissed about eating around kids THEN PICK UP YOUR BOX AND MOVE! Children should not be expected to sit still and quietly wait. They have an overflow of energy, imagination and a makeshift playground. Did those JERKS feel better after snapping at us? They just yelled for their benefit. JERKS. If you expect a child to sit still & quiet then you should have to wear a shirt that says "I HATE CHILDREN!" So everyone knows to stay away from you. We live in a grown up world. Our children seem to have ever decreasing opportunities to be just kids. So, JERKS if my child wants to be a dinosaur at lunch then, he can be a dinosaur including all the sounds a dinosaur might make. And if my daughter wants to be a princess riding a unicorn while out running a bumble bee then she can do that too! Their kid window shrinks a little bit everyday. Happy children are a delight. I don't like mean people. 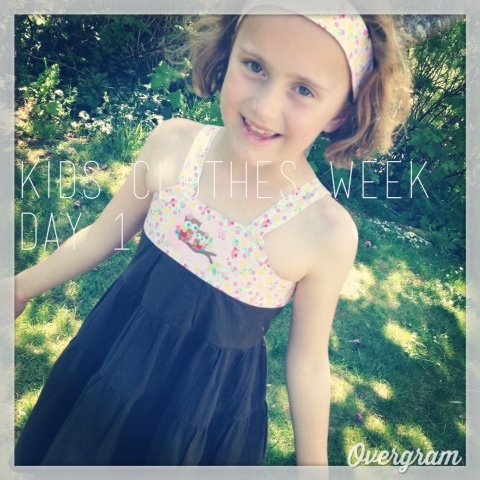 Ok, we are half way into Kids Clothes Week and I am just now posting my first post about it. I'm thinking I should just recap with a single blog post at the end. The weather here has been wonderful and sunny. It is hard to expect J to stay inside so I can sew when he wants to make mud pies and worm soup. Needless to say, it has been a slow start to Kids Clothes Week for me. 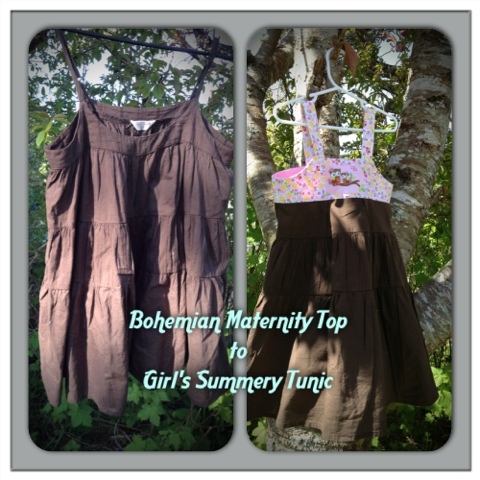 I had this flowy bohemian top that I wore while I was pregnant. Not expecting to wear it again, I decided that it needed to be up cycled to something more exciting and useful. I had thought about a maxi dress for P or maybe just a flowy skirt. 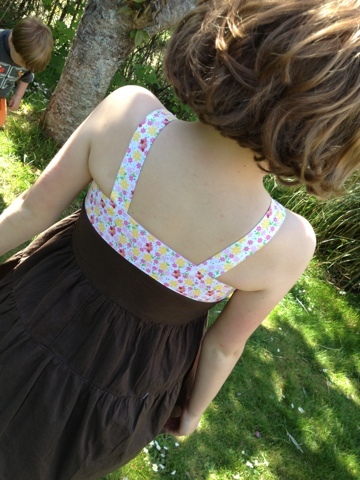 Then inspiration struck and I whipped out a darling little summery tunic and headband. I couldn't wait for her to come home to try it on and she obliged me. More handmade swapping! This time it was organized by Imagine Gnats. It had international participants and we were asked to make a secret (covert) handmade gift for our assigned partner. It was a round robin swap. Round robin meaning someone else was assigned to make me something. I don't know what is more exciting: crafting something for someone or getting a specially crafted item for myself. They are both wonderful! I was assigned a lovely lady who lives far far far away in a beautiful country filled with rich and brightly colored textiles and food that is so scrumptious and delicious I craved it when I was pregnant with J. I craved it so much that I was reduced to tears on several occasions upon the realization that we do not have a restaurant within this county that would meet my craving demands. INDIA! INDIA! I get to make & send to INDIA! 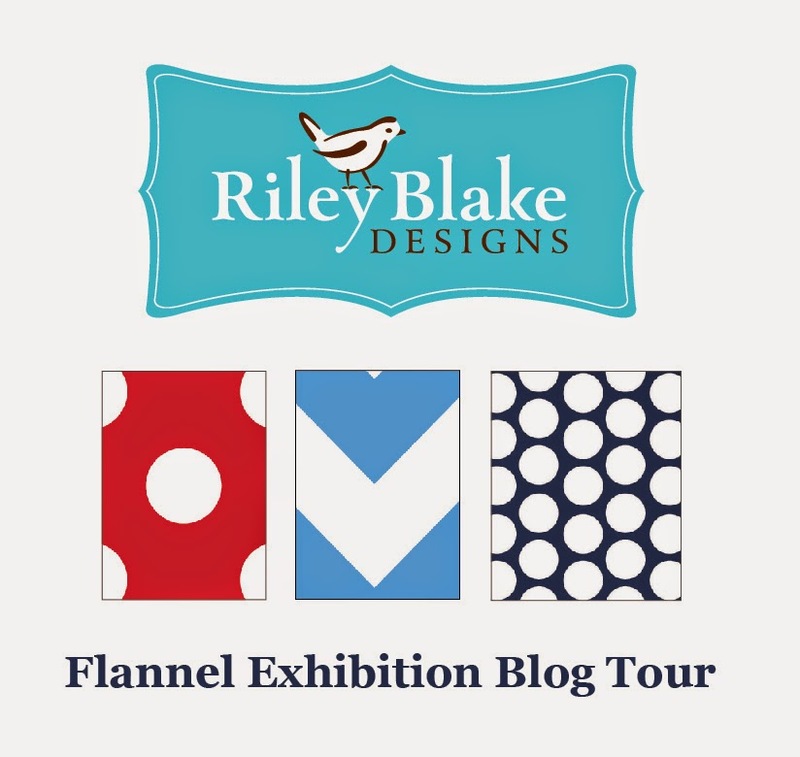 My partner has this delightful blog filled with exceptional handmade and beautiful creations.....After reading a few posts, I was feeling intimidated! So, I procrastinated, read some more posts, stalked her has much as I could before I decided what to make....still feeling intimidated....I got to work. She likes to sew (like is mild, she is an expert sewer) and I decided to make a fabric basket. I used the Pink Penguin fabric basket tutorial as a reference for this. I chose fabrics from the Good Fortune by Kate Spain for Moda Fabrics. I bought a couple prints in 1/2 yard each and the charm pack from my local Forget-Me-Knots Quilt Shop. I was really pleased with how the basket turned out! It was very easy and fun. I think this will be added to my "go-to" gift list. I also made a little pincushion and put an assortment of charm squares in the basket too. She has a little guy and I crafted him a little dinosaur just for fun. J loves the dinos. J loved this little dino and was sad to part with it. For fun I punched a few paper gift tags, added some locally made cranberry jelly candy and saltwater taffy. Now, I just sit back and wait to find out if it makes it safely all the way to INDIA....and if she likes it. What about me? Oh, yes, me! I received my covert robin gift too! 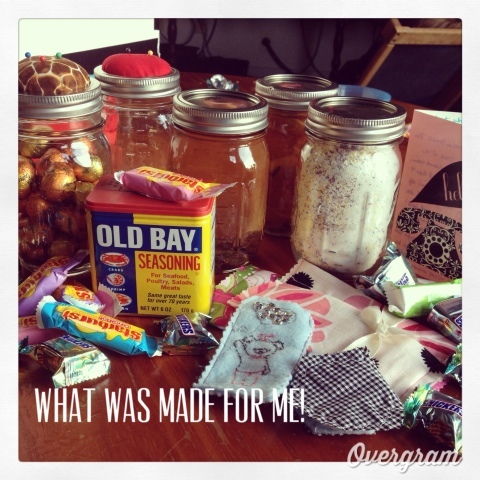 Mine came across the country from Baltimore and was filled with an assortment of hand made natural products which included: scented waters to boil and fill my home up with sweets scents, laundry detergent (which smells so good), several pincushions, a hexie needle book, little sewn pouches, an embroidered adorable bookmark, some Old Bay Seasoning, and chocolate. It is a wonderful gift! I love it! Such thought and care was put into making it for me! Did I mention that all the participants are invited to link up their blogs and then are eligible to win some goodies from the co-hosts for this swap? It just gets better, right? If you are a crafty person and have thought about joining swaps but haven't yet, I encourage you to do so! 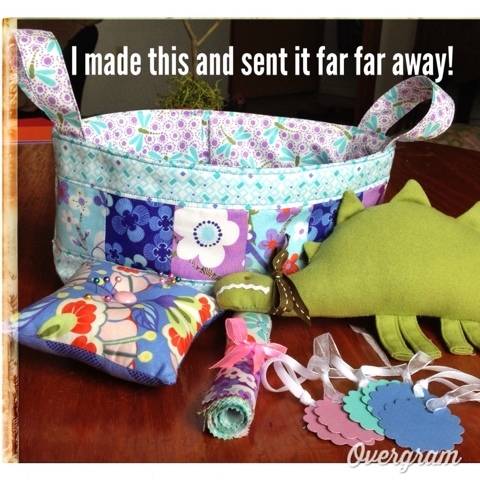 It is so much fun (you are not required to send internationally) and you connect with so many other crafty people it makes your world that much smaller! Please become a follower and also, "like" the Rose & Odin Facebook page.